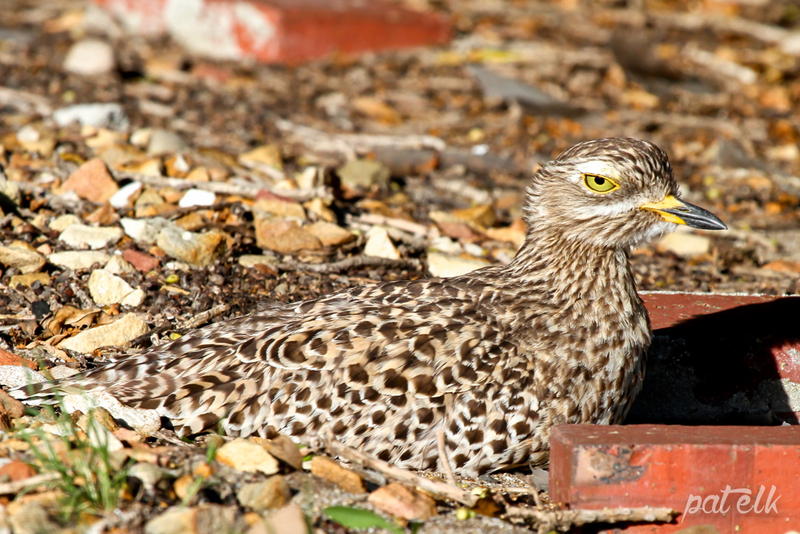 The Spotted Thick-knee also previously known as Dikkops (Afrikaans name, Gwone Dikkop) is a common resident in open areas including parks and open fields. We have seen them in the Rietvlei Nature Reserve and the West Coast National Park. Our Neighbours had a pair under the tree in their front garden which was open to the street. We used to see and hear them in the evenings when they were more active.